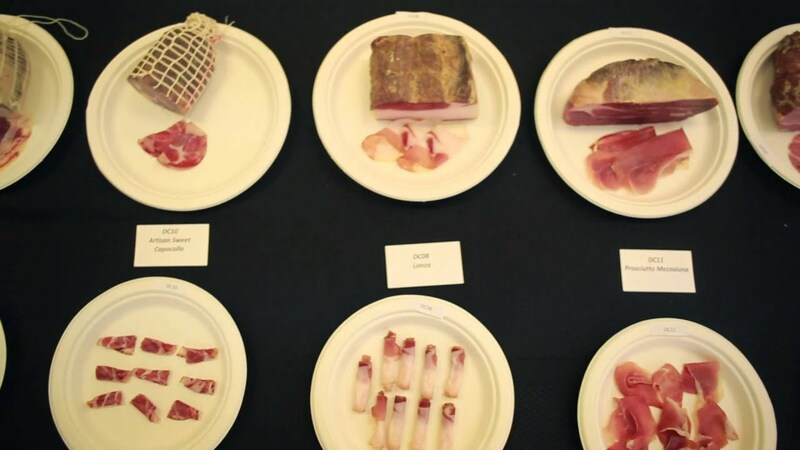 In 1987 OIMP launched its first meat competition with product categories that embrace both modern trends and the enduring heritage of Ontario’s artisanal meat and poultry products. The competition, which is exclusive to OIMP members, moved from an annual to a biennial event in 2003. 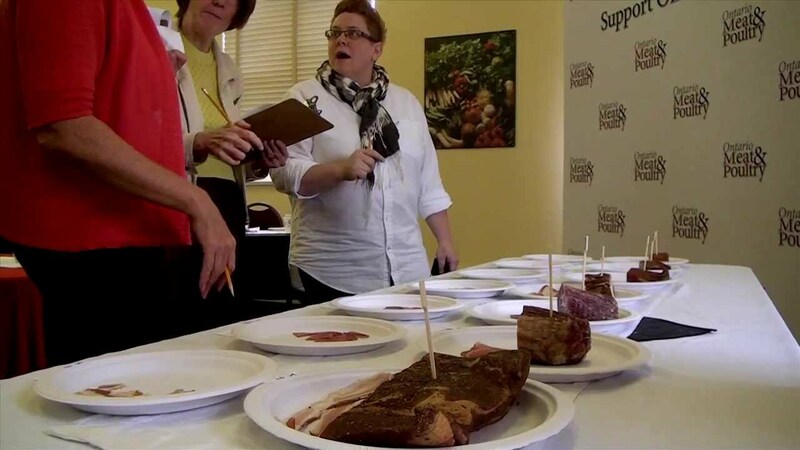 Attracting over 115 entries made from Ontario meat and poultry, this event draws a stellar roster of knowledgeable, influential judges including retail buyers, media, and chefs determining the Platinum, Gold, and Silver award winners, which are presented at the OIMP Awards Gala. Love Food. Live Well. These are words that Katie lives by every day and create the foundation of her career as a holistic nutritionist and natural foods chef. Katie is the owner and operator of Kate and the Kitchen, offering nutrition and culinary services to individuals and in the workplace. Katie is also a freelance chef, hired by various food companies to engage in recipe development, writing and editing as well as media representation, food styling and product promotion at trade events. She is a regular recipe tester for The Test Kitchen and recently hired as a recipe writer for The Hot Plate. Katie’s education includes a bachelor’s degree in health sciences from the University of Western Ontario, and holds a professional designation as a Registered Holistic Nutritionist from the Canadian School of Natural Nutrition. Her chef credentials come from the Natural Gourmet Institute for Health and Culinary Arts (NYC) and she completed her culinary internship with Food Share, a not-for-profit organization in Toronto. Andrew Coppolino is a Kitchener-based writer and broadcaster. He holds a Master’s degree in English literature from the University of Waterloo and has taught at UW, the universities of Guelph, Toronto and Toledo, Conestoga College, and at the Stratford Chefs School. Coppolino has been restaurant reviewer and food writer with the Waterloo Region Record and Grand and Taste magazines. With Mark Morton, he is author of Cooking with Shakespeare (Greenwood Press) and has published in Whisky Magazine, Toronto Golf, Avenue Calgary, Restaurants Canada, Restaurant Report, Culinary Trends, Foodservice and Hospitality, Hotelier magazine and Canadian Gaming Business. He is food columnist with the Kitchener Post and CBC Radio Kitchener-Waterloo 89.1 FM. When he is not eating, Coppolino is a volunteer coach with the Kitchener Soccer Club. Bringing her experience from front-of-the-house, back-of-the-house, and from farm-to-fryer, Alexa has been a professional eater and critic since 2002 when she published her first restaurant guide – CheapEats Toronto. She grew up on an organic farm, working in farmer’s markets and restaurants, honing her food knowledge and palate. You can find Alexa writing about food; working to raise millions for food rescue and hunger charities like Second Harvest’sToronto Taste; providing unflinching social content strategy advice to food and tech brands; and judging culinary competitions across Canada. Gloria is a passionate home chef who runs the blog Homemade & Yummy. Spending time in the kitchen experimenting with new ingredients, trying new techniques, tasting and testing new products fills her day. Her blog focuses on making food at home. You can taste the cuisines of the world without leaving your kitchen. Coming from a Ukrainian background, food is an important part of creating wonderful memories. From festive holiday dinners, birthday celebrations, or just simple gatherings with family and friends, creating delicious meals is what she was “born to do”. Gloria loves working with brands, and being brand ambassador for Ontario Pork this year has been a fun and tasty experience. Creating recipes inspiring people to try something new is so rewarding. Most days you can find Gloria working on her blog, cooking, doing a photo/video shoot or writing. As a wife, mom and gramma, her taste testers are always eager and willing to see what she will create next. Jennifer McLagan is the author of the widely acclaimed books Bones (2005), Fat (2008), Odd Bits (2011), Bitter (2014) and Les Os (2014). All her books made The New York Times list of top cookbooks and she has won four James Beard Awards. Her book Bitter, was selected by The Guardian as one of the top ten food books, made the list for the Art of Eating prize, and was featured in the Wall Street Journal, New Scientist and British Vogue. She has presented at the Oxford Symposium of Food, Adelaide Writers’ Week, Aspen Food & Wine Classic, Slow Food University in Italy, Melbourne Food & Wine Festival, Toronto Terroir Symposium, Saveur Stratford, Ontario, Dartmouth Food Festival, U.K, and Epicurean Classic in Michigan. She is a regular food expert on ABC Overnights with Trevor Chappell. Highly experienced and well-regarded Professional Home Economist, Emily Richards has an extensive know-how in the food industry which is strengthened with her Bachelor of Science, Home Economics specializing in Food and Nutrition from the University of Western Ontario and many years of experience in the food world. Emily has authored and co-authored many cookbooks and continues to create recipes for notable magazines, newspapers and companies. Emily also appears across the web (and the country!) presenting recipes that are easy to prepare for busy families and enjoy together, always promoting her passion for food and inspiring people to get in their kitchens and cook! Emily’s career has taken her from restaurant and hotel kitchens, Canadian Living Test Kitchen and Food Network cooking shows to media and TV celebrity chef. Throughout this time she has always stayed true to her love of good food and getting people interested in cooking and enjoying great flavours. A graduate of Niagara College’s Culinary Management program, Jill pursued further training in Europe and attended Manchester University where she attained a diploma in Culinary Arts and her European qualifications as a chef. One of her most memorable cooking experiences comes from her time in England hunting for grouse. When caught, it was prepared and cooked in the field with herbs, greens and berries that were foraged from the surrounding country side. The simplicity of the meal. The smells of the wood fired stove and wild herbs mingled with the freshly caught game made it a meal that would ignite a passion for fresh and local ingredients that would stay with Jill throughout her career thus far. Returning to Ontario, Jill worked in a variety of establishments from the Delta Sherwood in Muskoka to local winery restaurants and eventually came to Smackwater Jacks where she has worked as Executive Chef and General Manager since August 2015. Claire has over 20 years experience working in restaurants, education and media, and now focuses on inspiring home cooks with easy, fun and delicious recipes at Claire Tansey’s Kitchen. Claire started her food career cooking in fine dining restaurants, and eventually transitioned to recipe development and writing. In 2010 she was named Food Director for Chatelaine and became a regular guest expert on Cityline. Today you can find Claire on Cityline and CBC Radio, in The Toronto Star, Best Health Magazine and others. Best known for easy, reliable and delicious recipes, fun TV and radio segments and engaging classes, Claire also knows food inside and out. Her first cookbook, Uncomplicated, will be published in September 2018 by Penguin Random House. Originally from Montreal, Claire lives in Toronto with her partner, Michael, and son, Thomas.